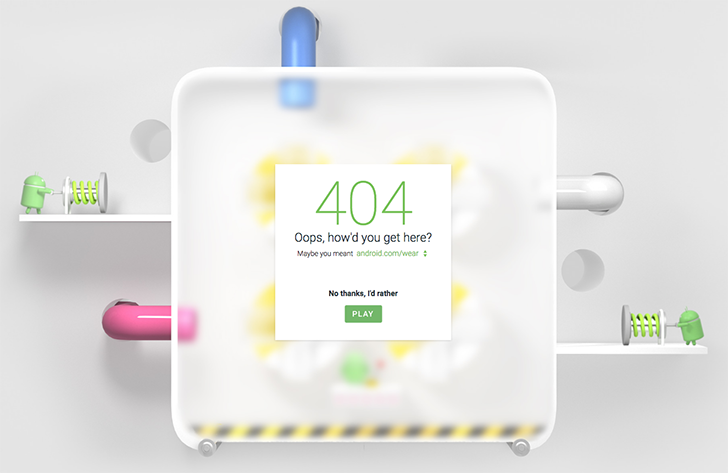 If you head over to android.com/android-police-rocks*, you'll achieve two things: one, you get to tell Google in no uncertain terms that our site is the absolute best evar™ and two, you will get rewarded with a super cool 404 page and a game. The error message suggests other pages for you to check then offers, "no thanks, I'd rather Play" as an option. 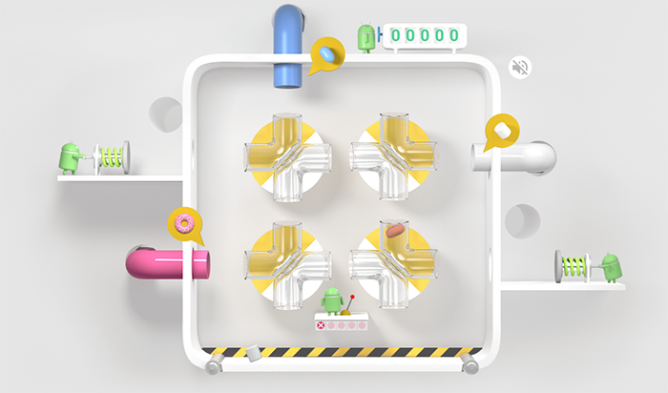 Tap that and you'll load a super fun and cute pipe game where Androids launch pink donuts, blue jelly beans, or white marshmallows into the field and you have to rotate the glass pipes to land the desserts in the correct colored pipe. You have 5 failed attempts before the game is over. Sometimes all the desserts will transform into a piece of nougat that you can easily drop in any pipe for the points. 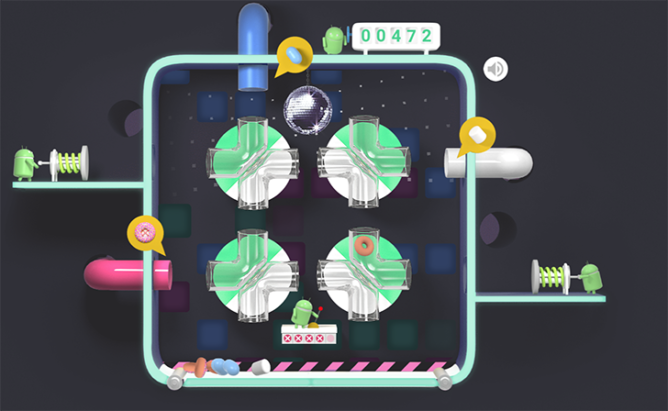 And as your score rises and you go over 400 or so, the game turns into a disco party with a dark background, flashing lights, a change of music, a dancing Android score holder, and a disco light in the middle. Help. It's ridiculously addictive once you start playing. Help me. It doesn't help that the game is so cutely designed. Seriously, someone help me. We're not sure how long this 404 page has been there, but we've just discovered it thanks to a tipster who chose to forego their fame and not mention it for eternal glory. I beg you, come close that browser tab because I'm going to lose an entire day playing. *It obviously works with any non-existent URL you try to access on the site. My suggestions are android.com/nougatftw or android.com/praise-duarte or android.com/apkplz-soonbackanswer. Person who sent this tip but didn't name themselves!